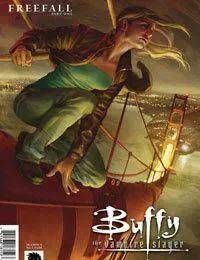 Season 8 ended with a bang when Buffy cut the world off from the hell dimensions and all supernatural influence. Great, right? Except Buffy has left her best friend, Willow, powerless, and ended the long line of vampire slayers, leaving her hated by the hundreds of girls who recently stood behind her. Newly relocated to San Francisco, Buffy can count on a fresh start, and focus on what shes good at-slaying.